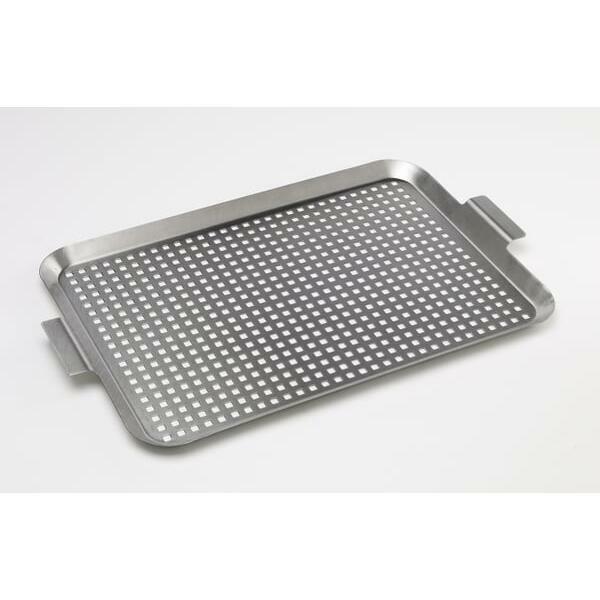 The Stainless Steel Grilling Grid by Bull Grill works as a stainless steel tray that lays over your grill grate for a secondary grilling surface. 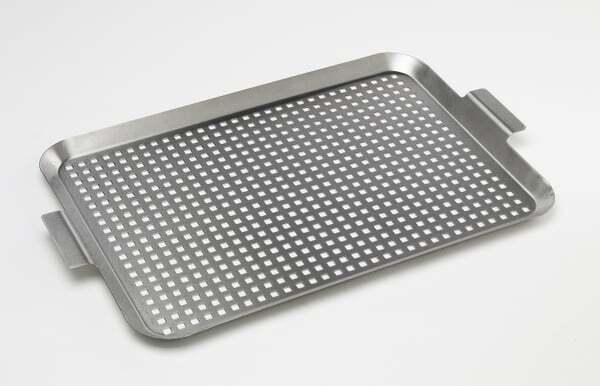 The holes are smaller than the spaces in the grill grate, so it is much easier to keep smaller foods out of the coals (or from slipping through your oven!). The surface is large enough for family meals and usually still leaves extra space on the grill, so you can grill an entire meal on the grill in one go.